This week, the Federal Emergency Management Agency (FEMA) issued a memorandum that waives the requirement that National Flood Insurance Policy policyholders have to submit and sign a proof of loss or sign an adjuster’s report prior to receiving payment on their claim. Now, the insurance company is directed to pay policyholders, as soon as possible and without the need for this extra step in signing and swearing to a proof of loss form or signing and swearing to an adjuster’s report / estimate of damages. Additionally, if policyholders believe that there are extra or additional damages not covered by the adjuster’s report / estimate, then they are given one year from the date of loss to sign and submit their proof of loss of damages. 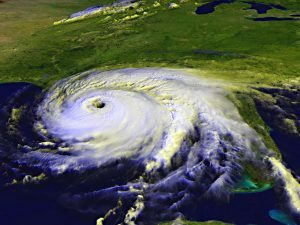 This is significant as policyholders can now get independent contractors or adjusters to evaluate and assess their damages to see if all damages were covered by the insurance company’s adjuster in his/her estimate. Moreover, the memorandum makes clear that your insurance carrier is to pay your claim as quickly as possible. To read the full memorandum, please click here. 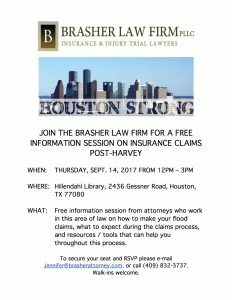 The Brasher Law Firm is experienced in handling flood claims and issues surrounding flood insurance disputes. If you believe that your insurance company has handled your claim unfairly, please call us at (409) 832-3737 for a free consultation today. Brasher Law Firm is welcoming a new member to its elite team of attorneys. Nishi Kothari, a graduate of the University of Texas School of Law, who previously spent time as a Limited Partner at Arguello, Hope, and Associates, PLLC., is the newest addition to the Texas Law Firm. Ms. Kothari spent her time at Arguello, Hope and Associates, focusing her practice on homeowner’s insurance disputes. 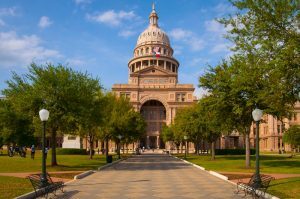 Her arrival comes on the heels of two successful trials, in which she teamed up with Brasher Law Firm to earn significant judgments for their clients. While in law school, Ms. Kothari was awarded a public service scholarship, which she used to actively fight for the immigration needs of low-income individuals and families. Ms. Kothari is also an active member in the community. 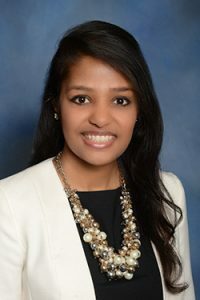 She is a member of the Houston Bar Association, Houston Trial Lawyers Association, and former Co-VP of Outreach and CLE for the South Asian Bar Association, Houston chapter.